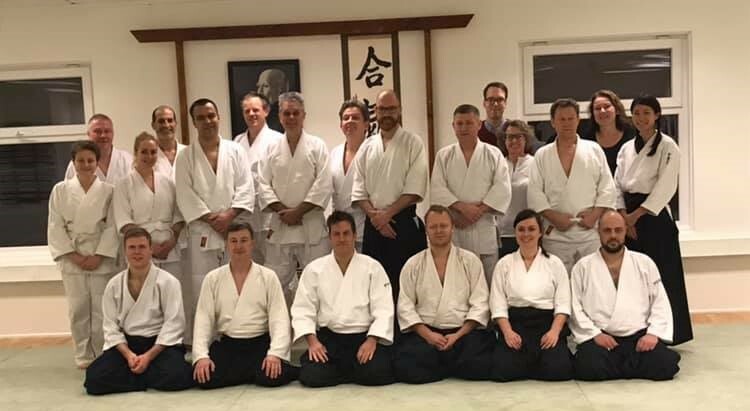 Thank you very much to Gaute for this year’s last training in Oslo Aikido Club! Very nice to have visitors from from Skøyen aikido club! And thank you so much to Marianne for organizing food for the Christmas party afterwards! And last but not least, congratulations to Gäber, Kine and Jan Erik who got 6.kyu, Simen and Kirjan who got 5th kyu, Peter and Marcel who got 4th kyu! We wish you all a really Merry Christmas and Happy New Year! We start again Monday 7 January! This entry was posted in Uncategorized by bjørnar nilsson. Bookmark the permalink.